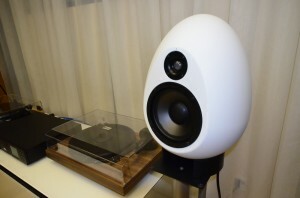 Mr Andy Munro, and Sonic Distribution (James Young and Philip Smith), first collaborated on a revolutionary new speaker system based around Egg geometry, to reduce diffraction and internal resonance, back in late 2011. The MunroSonic Egg system was launched to huge critical success, and found a home in many of the world’s top recording studios. Its major success story was in Northern Europe, and especially the UK and Scandinavia, with UK music industry luminaries including Mike Hedges, Gil Norton, Rik Simpson and many others, leading the way with mixing their recent works on this exceptional near and mid-field monitoring system. So, no surprise, that when looking at ways to improve and refine what many consider to be one of the best monitoring systems ever produced, the search for the cream of global manufacturing would end up back where the story began, in the UK. There are two products in the MunroSonic Egg range, the Egg 150 and the smaller Egg 100. 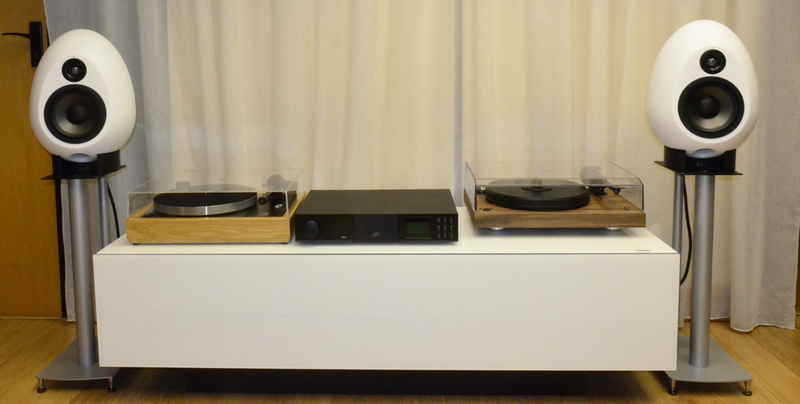 Both systems include dedicated amplifiers actively driving the speakers, so the price reflects both loudspeaker and power amplifier. The new MunroSonic Egg 150 Monitoring System is a showcase product for UK Manufacturing and the UK Music Industry, on a global stage Come and listen to them in our Showroom!